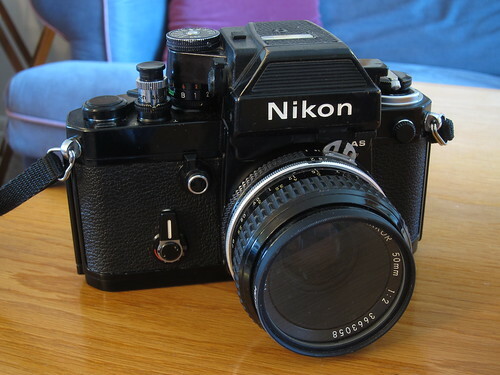 Unbelievably, this wonderful Nikon F2AS was donated to the Jim Grey Home for Wayward Cameras. It has received the extended service from Sover Wong: disassembly of all internal parts for cleaning and adjusting, plus all new foam seals everywhere. This baby is good to go for the rest of my life.